All silicone is BPA free, no lead, phthalates, heavy metals or cadimium, 100% food grade and safe for babies to chew on. Silicone is FDA/CE approved. Products can be cleaned with a mild soap and warm water. Metal clip is coated with a lead free enamel paint that is non-toxic. 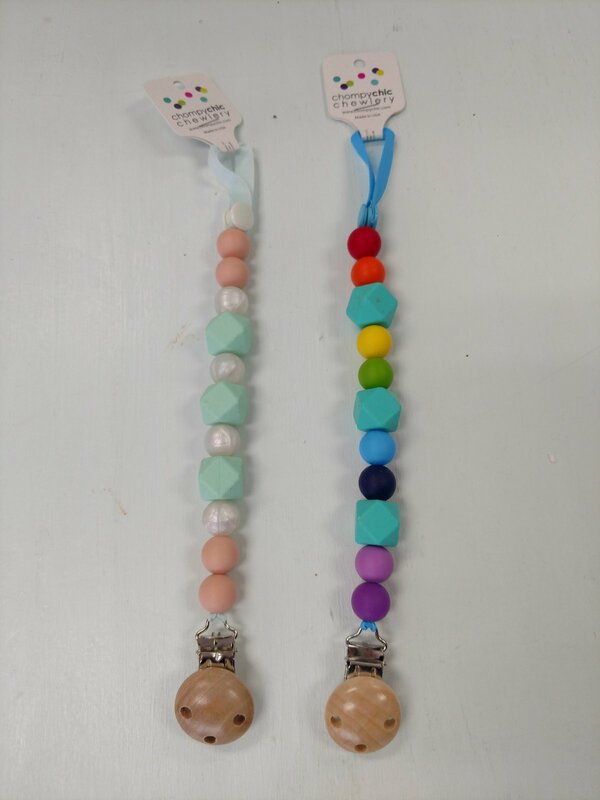 These are intended to be attached to a shirt or blanket and should not be left alone with baby.